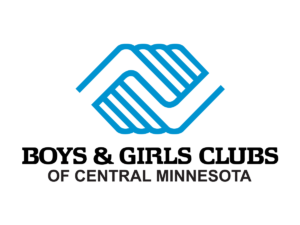 Boys & Girls Clubs of Central Minnesota is pleased to announce that the Norman C. Skalicky Foundation has issued a $5 million gift to launch the Boys & Girls Clubs of Central Minnesota’s Great Futures Endowment Campaign. This gift comes with a 2:1 matching challenge to the community, so the Boys & Girls Club must raise $2.5 million in planned gifts or cash gifts. To date, the Boys & Girls Club has raised $1.3 million to support the challenge. Nebosis said that the $5 million gift to the Boys & Girls Clubs of Central Minnesota is certainly the largest gift in the organization’s 44-year history. To her knowledge, it is also one of the biggest gifts received by any social service organization in the St. Cloud metro area. Planned gifts to the Boys & Girls Club may come in the form of a bequest in a wall, a life insurance policy, or a number of other options that may best suit the donor as they confer with their financial advisor. Investments in the Great Futures Endowment Campaign will enable the Boys & Girls Club to ensure a livable wage for staff, professional development to prepare staff to provide a quality Club experience for every child who walks through our doors, and up-to-date technology and equipment to deliver positive outcomes for youth. The Boys & Girls Club’s Great Futures endowment fund has been established at the Central Minnesota Community Foundation. Nebosis said it’s important to note that the purpose of the Boys & Girls Club’s Great Futures Endowment Campaign is to position the organization for successful programming for generations to come. The organization must still raise $1.5 million annually to support Boys & Girls Club programs. For more information about Boys & Girls Club’s Great Futures Endowment Campaign or to make a pledge, visit our website: www.bgcmn.org/greatfutures or call 320-252-7616. Since 1974, the Boys & Girls Clubs of Central Minnesota has provided hope and opportunity to tens of thousands of young people. More than 25 nationally tested and proven programs are available in the areas of education, the environment, health, the arts, careers, drug and alcohol prevention, leadership development, and athletics. These programs address today’s most pressing youth issues teaching young people the skills they need to succeed in life. The mission of the Boys & Girls Clubs of Central Minnesota is to enable all young people, especially those who need us most, to reach their full potential as productive, caring, responsible citizens. More information is available at www.bgcmn.org. According to a study prepared by the University of Michigan, Boys & Girls Clubs of America estimates that for every dollar invested for Boys & Girls Club programs, $9.60 is returned to the community through parental earnings, increased grades and reductions in alcohol use. Norman C. Skalicky, CEO and Chairman of Stearns Bank, N.A. has issued a number of challenges since the Foundation was formed in 2001 with the help of the Central Minnesota Community Foundation. By issuing these challenges, the NCSF and the community have raised more than $3 million to benefit those in need. Other recipients of this great community resource include Catholic Charities, The Salvation Army, the St. Joseph Community Food Shelf and several disaster relief efforts.